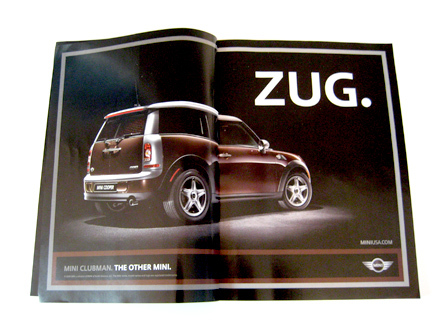 To celebrate the launch of the MINI Cooper Clubman, a car that's just a bit longer, just a bit bigger and just a bit more odd than the original MINI, we created a campaign called 'Zig. Zag. Zug.' We zigged with the original MINI hardtop, we zagged when we made the convertible and with the Clubman, we had nowhere to go but Zug. 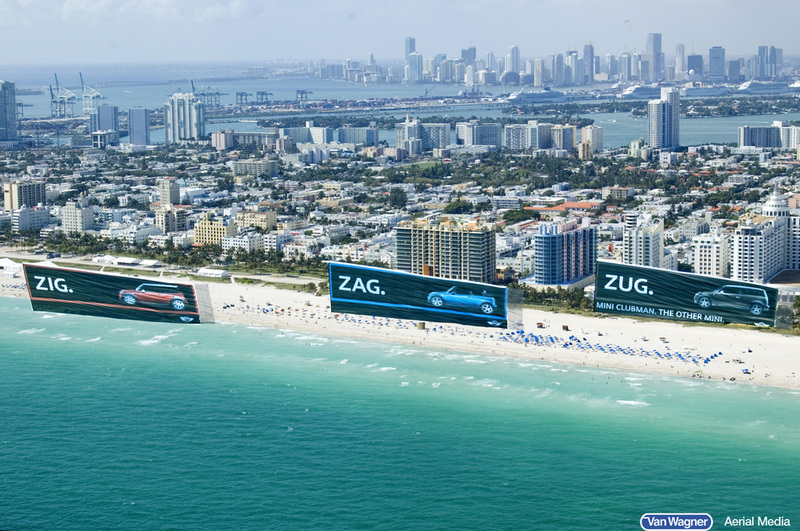 We brought that element of Zugging to every piece of communication, from print to out-of-home to stunts (like the one pictured here).